Welcome! 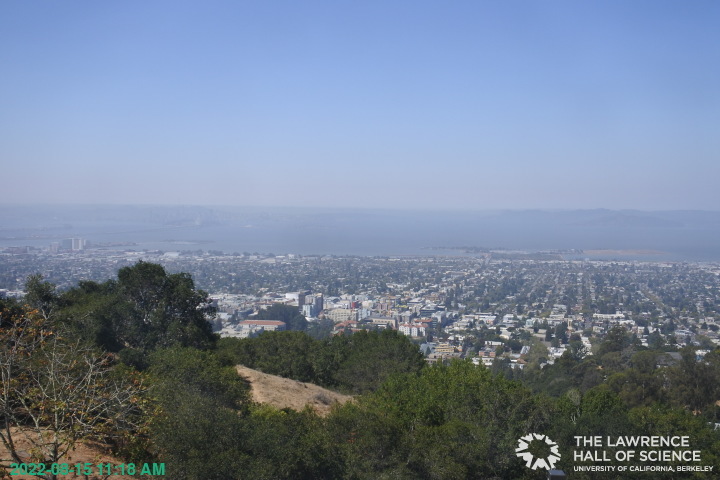 Here you can enjoy the view from the Lawrence Hall of Science, overlooking the San Francisco Bay Area. Oh no, you don't have Flash! View yesterday's complete timelapse film. You can also download it in .avi or .mp4 formats. See links to Bay Area Weather Phenomena in the above menu. Follow @sfbayview Tweeting the Hall's View at 8am, 12pm, 5pm, 8:30pm daily along with other exemplary photos. View archive of selected previous timelapses here.